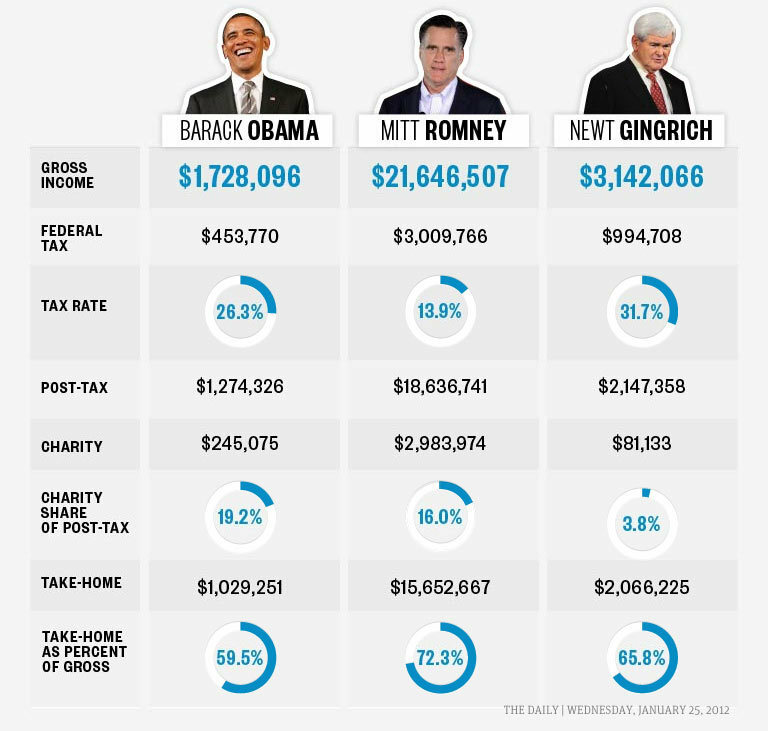 Mitt Romney earned $21.6 million in 2010 — and paid just 14% in taxes, far less than Newt Gingrich’s 31.7% or Obama’s 26.3%. In fact, the Romneys paid a higher tax rate to foreign countries, handing over 18 percent on the almost $375,000 that they garnered abroad. The former Massachusetts governor also shelled out almost $3 million to charity, roughly 16 percent of his post-tax haul.